This is the Hardcover edition. Price includes shipping, tax and the book is signed by the author! I have been under the spell of the South ever since I was born in Louisville, Kentucky in 1943. I was not, however, under the spell of being an artist when my 6th grade teacher crushed that possibility by telling me, “Judi, you don’t paint people very well, so I don’t think taking art is a good idea for you.” I never took art after that. During a high school trip to France, the works of Van Gogh, Monet, Matisse, and Degas rekindled my love of art. Later, while studying elementary education in college, I had the good fortune to take a six-week course, Teaching Elementary School Art, with the head of the Art Department. I was inspired again. As a first grade teacher, I had the freedom to integrate art and creativity into every subject I could. The children astonished and inspired me in ways I could never have imagined with their naive and totally fearless work. Then in 2006, an artist friend encouraged me to paint. After taking workshops with several well-known artists for three years—Stephen Kilborn, Kim English, and Leigh Gusterson—I decided to take an abstract class from Santa Fe artist, Dan McBride. 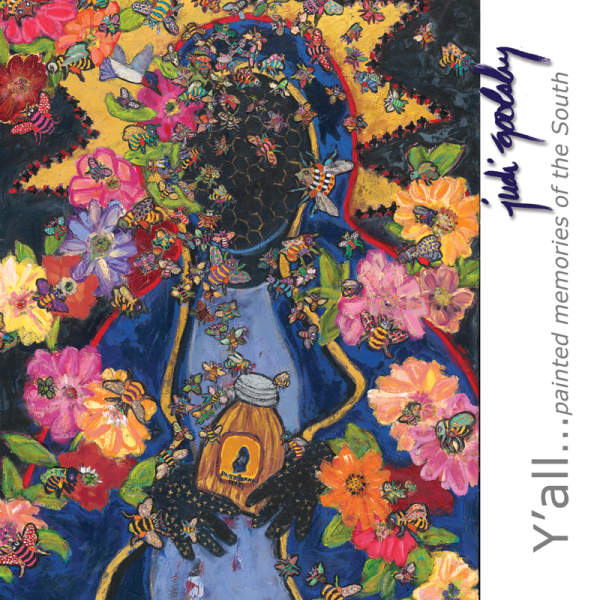 It was Dan who pushed me to recognize how my strongest voice as an artist rose out of childhood stories and images flavored by my Southern upbringing. 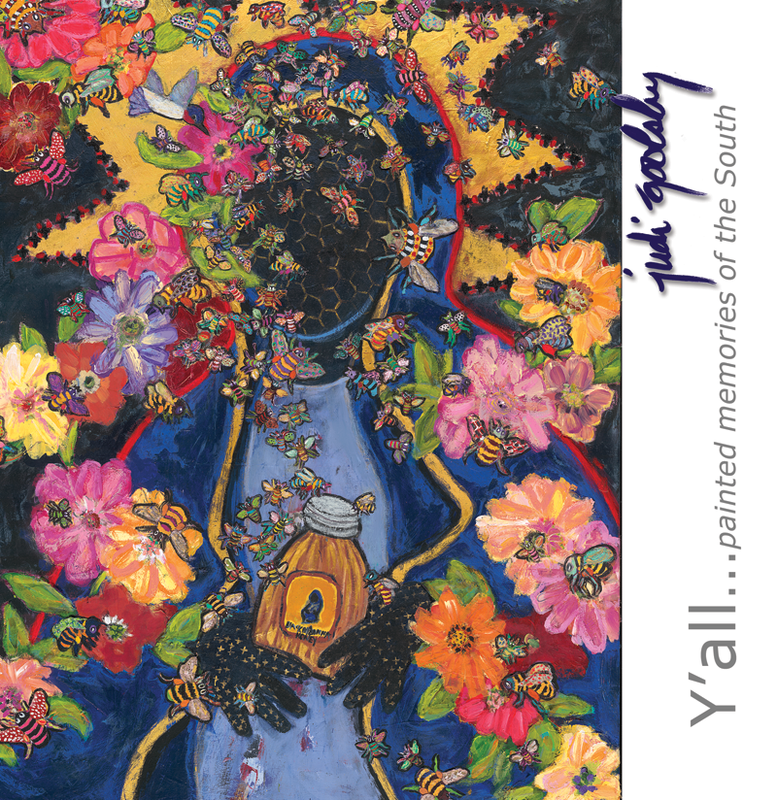 Now my layered, narrative paintings echo the spell of the South and the primitive art of the children who taught me, even as I was teaching them. Cost includes shipping and personalized inscription that can be entered at checkout.